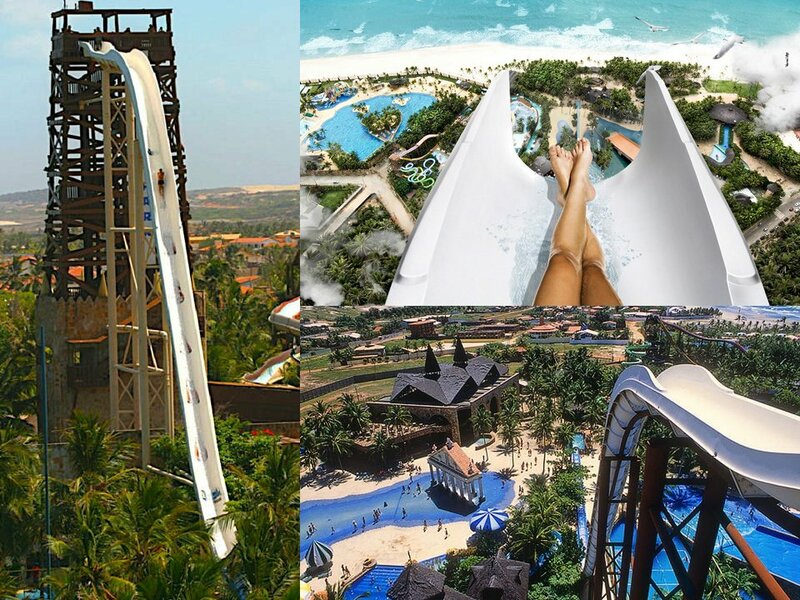 Insano, the world’s tallest water slide, is towering over the Brazilian landscape at a whopping 41 metres high, it is the equivalent of a 14-storey building. Insano has been listed in the Guinness Book of World Records and brave riders plummet down the slide at a nerve-shredding speed, reaching around 65 miles an hour. The plunge is so steep that although riders travel 41 metres, the whole ride takes just four or five seconds. The Brazilian beach park website describes the Insano as the most extreme equipment of this type of the planet. Constructed in 1989, the thrill ride attracts dare devils from all over the world. For safety reasons Insano only allows travel in a single position – on your back with arms and legs crossed. However with such hair-raising speeds it is hard to imagine this would be a problem for most as it is unlikely many would want to plunge down head first. Insano can be found in Fortaleza, Brazil, and for those not distracted by the significant drop below it offers great views of the Atlantic Ocean from the top.